The nursing assistant schools that are found in Yazoo City, Mississippi and are currently offering their training programs are provided in detail below. Schools will give you hands-on experience practice as well as teach you the fundamental health care procedural instruction necessary to care for patients. To learn more contact the institution listed here. The initial step that needs to be done to become a nurse aide is to find a nurse aide training school to enroll in. By completing a state-certified program, you will become eligible to apply for the license exams. If you pass all the tests in the license exams, your name will be entered on the Nurse Aide Registry and you will be allowed to work in a long-term care facility as a nurse aide. The license exams are composed of a written and a skills evaluation of the nursing skills that were taught in the program. If you have any problems in reading English, you can request to have the written exams changed into an oral examination during your application. If you have any disabilities that require special considerations, according to the law, the examiners will also provide you with that if you request it. If you are already a CNA license holder from a different state you can apply for reciprocity. When you apply, you certificate or status on your state’s Registry must be active. You will also need to pass both the Federal and State background checks. If you have records such as abuse or neglect then you will no longer be allowed to work in the state as a nurse aide. There is a $26 reciprocity fee associated with the process as well as a required $101 testing fee. Applicants are allowed only one attempt to pass the exams. Those who are unable to pass both parts in one attempt must retake a school program to proceed further. You can contact the Mississippi State Department of Health for questions about this or renewal requirements by calling 601-364-1100. Yazoo City can be found in Yazoo County. It is currently its county seat and the main city of the Yazoo City Micropolitan Statistical Area. This city was named after the Yazoo River, which in turn was named by Robert La Salle, who was a French explorer, as Rivière des Yazous. According to the census of 2010, the total population of the city was estimated to be around 11,403 people. It has a total area of 10.9 square miles, of which only a very small percentage of it is water. All certified nurse aide training classes in Wesson, Mississippi that are open for enrollment as of the making of this post are listed in detail. If you have any questions such as fees and schedule of enrollment, you can call them with the provided number and speak with a representative of the facility. In order to be able to work in Mississippi as a nursing aide, you must have a CNA certification. This can only be done if your name is entered on the state’s Nursing Aide Registry, which is a master list of all the nursing aides who were able to meet both the Federal and State’s testing and training regulations. One way of qualifying for the exams is to graduate from a state-certified training course. These courses only take 6 weeks to complete. The license exams for this state are handled by Pearson Vue. They are composed of a written exam and a skills evaluation. If you are not that good in English, you may request for an oral exam when you apply. Compared to the written exams, the oral exam also has two parts. 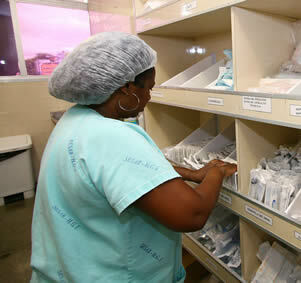 The second part is a 10-item test on the different terms that are used in the clinical area. To get your name on the Registry, you will need to pass all of them. All candidates have rights to file a grievance to complain about the outcome of their exams. The NACES will follow-up each one within 30 working days from the receipt of the grievance letter. Grievance letters must be written by the complainant and submitted to the NACES Plus Foundation. It will then be investigated by the RN Associate Program Director. Once the investigation is done, it will be the Program Director who will contact and inform the individual of the outcome. If the fault lies with the evaluator, the NACES, or Pearson Vue, the individual will be allowed to retake the test for free. You can talk to a representative of Pearson Vue by calling 1-888-204-6213 to set up an examination date or ask other questions related to testing requirements. If you need further clarification about certification requirements you can contact the Mississippi State Department of Health 601-364-1100. The CNA programs that are being shown below are the current school courses that you can enroll in within Vicksburg, Mississippi. Applicants will receive a variety of instruction including basic theoretical health care procedure training and hands-on skills practice. By becoming a nursing assistant, you gain entry into the medical field. The demand for nursing assistants nowadays has been increasing and is believed to continue to rise for the coming years. It is the perfect opportunity for you to become certified in this profession. To be able to work as a nursing assistant, you must have a CNA license, which you can only get by passing the NNAAP examinations. Before you are able to take the exams, you will need to apply for it and one of the requirements when applying is proof that you have completed a state-certified program. Programs and trainings that were done in other states will not be considered and you will not become eligible to apply for the exams. The exams are conducted by a company called Pearson Vue. They provide two tests which are a written multiple choice test and a skills exam. For the written part you must answer 70 multiple choice questions. For the skills exam you will be required to demonstrate 5 specific tasks chosen at random. 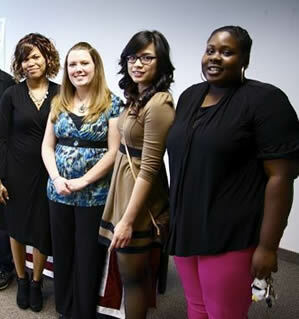 You can learn more about the competency exams or set up a time to take them by calling Pearson Vue at 1-888-204-6213. If you did complete your training in a different state, it is highly suggested that you take the exams in the state that you are in and apply for reciprocity afterwards. When you apply for reciprocity, you will be required to show proof of your certification/license and pass the criminal background checks. These checks will be done in both Federal and state levels. The process of reciprocity consists of submitting the proper form, paying a $26 fee and paying a testing fee of $101. You can speak to a representative of the MS State Department of Health through their phone line at 601-364-1100 to get further information. Vicksburg is the county seat of Warren County. As of now, it is the only city in the County. You can find Vicksburg a few miles northwest of New Orleans and 40 miles west from Jackson. According to the 2010 census, the total population of the city is estimated to be about 26,407. Vicksburg has a total area of 35.3 square miles, which only 2.4 square miles of it is water. 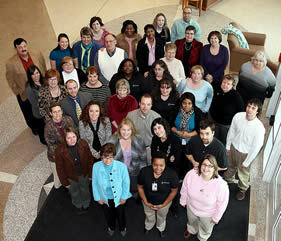 The certified nursing assistant classes that are found in Union, Mississippi are all listed here. The course will offer health care theory and skills experience in a clinical setting as well as preparation for the license exams. To learn more contact the facility and speak with a school administrator. If you want to become a CNA in Mississippi, then you will need to be able to take the state’s NNAAP exams. Before you are able to do that, you must become eligible to apply for it by completing a state-approved training course. These course last 6 weeks to complete. You will need to meet the 130 hours of training that is required by the state. You must be present in all the training sessions to meet that goal. 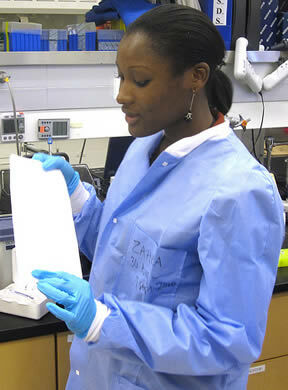 Your training will be divided into theory lessons, laboratory work, and clinical duties. 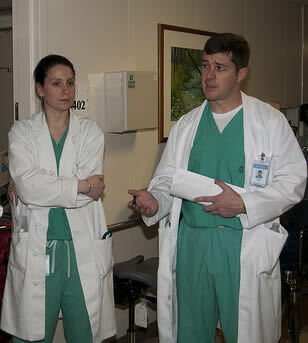 You will be learning different skills such as assisting the patient’s with their activities of daily living. After you complete the course, you can then ask for the application forms. You can also download it from www.pearsonvue.com or request on from the NACES. When you submit your forms to the NACES, you will also need to include your certification for completing a training course, and the payment for the testing fees. The payment should be in a money order to NACES. If you are taking both the written and the skills evaluation exam, the total amount will be $101. You can speak to a customer support representative of the Pearson Vue company by calling 1-888-204-6213. Other nursing assistants that are registered in a different state may also transfer and work in Mississippi. Before they can work, they will need to first apply for reciprocity. When they apply, they must have a good relationship with their state and an active license. All applicants are also required to pass the criminal background checks that will be done in both federal and state levels. In addition there is a filing fee of $26 as well as the exam fee of $101. For more details you can call the Mississippi State Department of Health to speak with someone at 601-364-1100. The certified nurse aide training programs that are currently shown on the list below are all the available programs in Summit, Mississippi that are approved by the state as of the moment. You can get additional details about when the next semester starts by calling the school using the number displayed below. Nurse aides must become certified before being allowed to work long term in care facilities throughout the state. Typically this entails enrolling in a state recommended course that offers training in how to perform the skills and tasks of the job. Classes are broken down into health care theory instruction and skills practice. Once you have finished the course you can call the Pearson Vue company to set a time to take the certification exams. Taking the license exams is the final step that you need to take in order to gain entry into the NA Registry of Mississippi. It is important that you are well prepared when you take the test during your scheduled date, which you will receive from the Authorization to Test notice that you get from the NACES after a few days from passing your application. First of all, you must avoid getting there late. You should already be at the testing site 30 minutes before the start of the written/oral exam and the skills evaluation. If you are late for the written examinations, you will no longer be allowed to take it and you will not be given a refund for the testing fees. Please remember that you need to pass all the tests in order to get your license. For more information, you can visit the Pearson Vue website at www.pearsonvue.com, since they are the authorized conductors for the NNAAP exams for Mississippi. Summit is a town that is located in Pike County, which also falls under the McComb Micropolitan Statistical Area. This town began as a railroad town that was named Summit because it was believed to be the highest point on the Illinois Central Railroad. According to the last census, their total population was estimated to be 1,428 people. Below are all the CNA classes that are currently available for enrollment in Starkville, MS. To learn more about how you can training and certification exam preparation experience, contact the school. Students must enroll in state approved course in order to be eligible to take the license exams and receive certification to work. If you want to work in Mississippi as a nursing aide, you will need to have a CNA license. The only ones who have a license are those who were able to pass the federal and state testing and training regulations. The first thing that you need to do is to enroll in a state-approved program. You need to be at least 18 years old to be accepted in a program. You must also be physically capable and be able to pass the background checks for criminal records. Once you are accepted, you will spend the next 6 weeks training. Your training will be composed of theories and on-the-job training. By completing an approved program, you will become eligible to apply for the license exams. All those who want to become a CNA must be able to pass the written/oral exam and the skills evaluation. The authorized conductor for this state’s exams is Pearson Vue. If you want to know more about the exams, you can visit their site at www.pearsonvue.com. You can also speak with them by phone at 1-888-204-6213. The state allows those who have previously been certified here or those who are certified in another state to apply for reciprocity. This process allows the applicant to avoid retaking a training program and go right to taking the certification exams. In order to qualify you must fill out and submit a reciprocity application. In addition you will need to pay a $26.00fee as well as a fee for testing of $101.00. The applicant is only allowed one chance to pass the tests, or be required to re-enroll in a training course. To learn more about how you can qualify for reciprocity you can call the MS State Department of Health at 601-364-1100. The City of Starkville is currently the county seat of Oktibbeha County. The name of this city was taken from a Revolutionary war hero named General John Stark. This city used to be known as Boardtown until it was established as the county seat. Starkville is also known as Starkvegas. It is the anchor to the Golden Triangle region of the northeast region of the state. According to the 2010 census, the population of the city reached 21,869. It has a total area of 25.8 square miles. All the nursing assistant training programs that can be found in Senatobia, Mississippi are shown on this page. Students will learn how to care for patients during classroom lectures and get to practice healthcare skills hands-on during the clinical phase of instruction. There are primarily two ways one can become certified to work in MS. These are to go through a training course and take the competency exams or transfer your certification from another state through reciprocity. For most applicants enrolling in a training program will be mandatory to purse a nurse aide certification to be allowed to work long term in care facilities. There are several steps that need to be taken before you can become a nursing assistant. For example, you must first enroll in a state-certified training program to gain the proper knowledge and skills to take care of the patients. These training programs take an average of 6 weeks to complete, depending on which program you enroll in. To graduate from training, the state requires you to have a minimum of 130 hours of training. These hours will be divided into classroom instructions and clinical duties. You can speak to an official representative of the Mississippi State Department of Health by calling 601-364-1100 to learn more about the latest criteria of instruction and requirements of enrollment. After completing training, you can then proceed and apply for the license exams. You will need to fill out the application form and send it to the NACES at 7600 Burnett Road, Suite 440 Austin, Texas 78757-1292. Your application must be received by the NACES 12 business days before the exams. Once the NACES receives your application, they will then send you your Authorization to Test Notice, which is a yellow postcard. This notice will contain vital information about the exams that you are going to take. If you want more information about the exams, you can visit the official Pearson Vue website at www.pearsonvue.com since they will be the ones who will conduct the exams for Mississippi. All the certified nurse aide school programs that are located in Scooba, Mississippi and are approved by the state are listed in details below. By joining and finishing one of these courses you will be allowed to take the state competency exams which will provide you with your certification. The first step to become a nursing assistant is to find a training program to enroll in. It is important that before you handle the patients, you must know how to do it properly. This will also help you to prepare when you take on the NNAAP examinations. The NNAAP exams are designed to evaluate the capacity of an individual to become a nursing assistant. All those who want to pursue this line of work must take and pass the exams. State-approved schools are required to offer 130 hours of training, which are divided into theories and on-the-job training. It will take 6 weeks to complete the training and student must be present in all the sessions to complete your 130 hours of training. Once the student complete s his education and training, he is allowed 24 months to apply for and pass the exams. For those who were hired as a nursing assistant prior to being certified, they will only have 4 months to get their license. The NNAAP exams are composed of a written and a skills evaluation exam. They are only available in English and no other language. If the applicant has trouble in reading English, they may request the written exams to be replaced with an oral exam. The examiner will only be allowed to read what is on the questioner and is not allowed to explain or translate it. Contact Pearson Vue by calling 1-888-204-6213 to learn more about examination requirements. To get a CNA certification, the candidate must be able to pass all the tests. Certificates for this state are only valid for 2 years. To be able to renew it, the holder must be able to work for a minimum of 8 hours every 24 consecutive months. There is also an additional 12 hours of in-service for those who are working in LTC facilities. Certified nursing assistant training centers that are located in Sardis, Mississippi are shown on the list below. Those included in the list are all approved by the state. 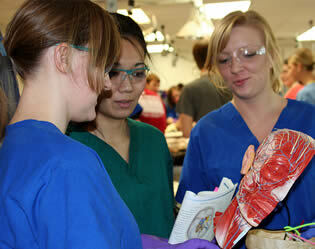 By joining a course you will learn health care theory, and receive clinical procedural experience. 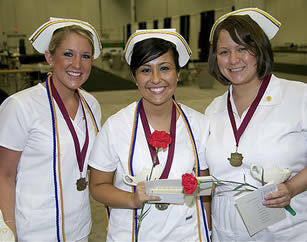 Taking the NNAAP examinations is a must for all those who want to become a nurse aide in Mississippi. These exams are only available to only those who are able to meet the requirements and be eligible to apply. There are different routes for an individual to become eligible. One option is to enroll in and complete a 130-hour nurse aide training course. These courses take 6 weeks to complete. After completing the program, you will have 24 months to apply for and take the exams. If you fail to apply within that time, you will need to start all over. For those who are already working in a nursing facility, they will only be given 4 months from the start of their work, to take the exams. In order to get a CNA certification, you must be able to pass both the written and the skills. The exam has two parts which are a written multiple choice and a physical demonstration part. If you fail in one part, then you may retake the part of the exam that you failed in. When you reapply, you will only need to pay for the exam that you are planning to take. The Pearson Vue company handles the administering of the exams and can be reached to schedule a testing date by calling 1-888-204-6213. Once you have passed both parts they will notify the state and your name will be added to the online registry. This will enable you to be hired by potential employers for a period of 24 months. To remain listed in good standing nurse aides will need to show verification of 8 hours spent in the capacity of the job. You can contact the Mississippi State Department of Health at 601-364-1100 to learn more about renewal instructions and requirements. The nursing assistant training classes that are found in Ridgeland, Mississippi and are available for enrollment as of the making of this page, are shown on the list below. Course shown have met state standards for training. 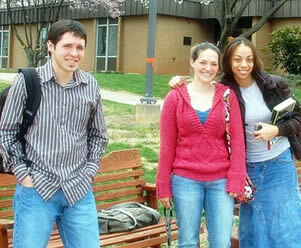 You can get the latest enrollment information by contacting one of the schools and speaking with a course coordinator. Becoming a nursing assistant is one of the best ways for you to gain entry in the medical field. It also offers you new opportunities to gain higher degrees or certifications that are only available once you become a CNA. The first thing that you need to do to become a nursing assistant is to find a training class to enroll in. You must make sure that the class is approved by the state so that you will have no problems later on when you apply for the license exams. Once enrolled, you will be spending 130 hours learning different concepts and skills like infection control, mental health, patient independence, rehabilitation, assisting in ADLs, and performing emergency procedures. Once you are found competent, you will then go to an actual clinical setting for your clinical duties. After you complete your training, which will take you about 6 weeks, you can then apply for the license exams. The examination is currently administered by a company called Pearson Vue. You can reach them to schedule a testing date by calling 1-888-204-6213. The license exams are composed of a written/oral exam and a skills demonstration on randomly selected nursing procedures. You must be able to pass all the tests to get your name entered on the Registry. Only those whose names are on the Registry list are given licenses and are able to work in a healthcare facility as a nursing assistant. You can contact the Mississippi State Department of Health at 601-364-1100 to speak with an official representative of the state to learn more about the latest requirements. For those who are certified as a nurse aide from another state or previously certified, they can become eligible to work here by filing for reciprocity. Qualified applicants will need to pay a reciprocity fee of $26.00 as well as a testing fee of $101.00. Those who meet the criteria are given one opportunity to pass both parts of the exam. If one is not able to pass one or both of the parts in one try they must go back and retake an instruction course. You can find the city of Ridgeland in Madison County. It is also included in the Jackson Metropolitan Statistical Area. This city is located in between Madison and Jackson-which is only a few miles in the south. Ridgeland has a total area of 17.7 square miles and a total population, according to the 2010 census, of 24,047 people. The nursing assistant programs in Richton, Mississippi that are shown on this page are the ones that are approved by the state. You can be granted the ability to take the certification exams by enrolling and finishing a state registry approved school. Call to speak with a course counselor to learn more. Taking the NNAAP examinations is the final step in becoming a nursing assistant. If you are able to pass both the written and the skills evaluation exam, your name will be entered on the state’s Nurse Aide Registry. Only those whose names are on the Registry and have an active status may work in a nursing facility as a CNA. Before you can take the exams, you will need to apply for it first. Once the NACES receives your application form along with the other documents and the testing fees, they will give you a schedule for your exams. They will send you your Authorization to Test, which is a yellow postcard, to the address you placed in the application form. You should expect that card within 2 days from the receipt of the NACES of your application. If you do not receive the Authorization to Test notice contains important information regarding your examination. If you fail to receive the notice within 10 working days, you will need to call the NACES at (800) 579-3321. The location for your examination, both the written/oral exam and the skills evaluation, will be given at the Regional Test Site. You may either go to www.pearsonvue.com or call (800) 204-6213 to find out the schedule of the testing site that is nearest to your location. Experienced certified nurse aides who come from a different state and wish to transfer their license may complete a reciprocity form and pay a small fee of $26.00 along with an exam fee of $101.00. If accepted the applicant will be allowed one opportunity to pass the exams. Both portions must be passed in one attempt or the applicant will be required to go back and enroll in another training course. This process also is approved for those who were previously certified in state and did not renew their licenses. You can contact the MS State Department of Health at 601-364-1100 for additional details. The nurse aide training programs that can be located in Raleigh, Mississippi are all listed below. These courses have been certified and approved by the state registry and will make one eligible to schedule a date to take the competency exams after completion. For most individuals interested in becoming certified to work as a nursing assistant they will want to enroll in a course that teaches the basics of health care and prepares them for the license exams. These courses are available throughout the state and should always be approved by the state registry. Failing to enroll in an approved course can mean that it is not accepted by the state and would prevent you from scheduling a test date. You can ensure a course is accepted by calling the Mississippi State Department of Health at 601-364-1100. Programs will teach at least 130 hours of instruction and generally take around 6 weeks to complete depending on the class you choose. Once you finish you become eligible to schedule a date for the exams. Taking the NNAAP license exams is one of the ways to work as a nursing assistant in Mississippi. The other option is by applying for reciprocity, which is only available to those that are already a CNA that is currently registered in a different state or have failed to renew their license in MS. 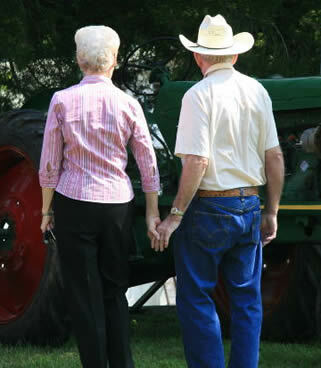 The process of reciprocity will allow them to transfer state and give them authorization to work in a long-term care facility. Before one is able to take the exams, one has to apply for it. One of the requirements is to be able to show proof that one has completed a nursing assistant training program that is approved by the state of Mississippi. One also has to complete an application form that can be requested from the training program, the NACES, or by downloading it from the Pearson Vue website. Along with those mentioned, the applicant will also need to send a money order as payment for the testing fees. For any problems and need of assistance in completing the application, please call the NACES Customer Service at (800) 579-3321. 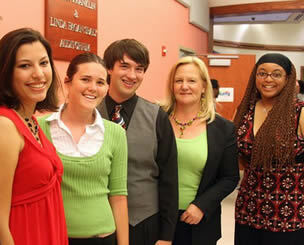 The representatives there are ready and willing to help by answering any questions or clarifications. Once the NACES receives the application, they will then send the Authorization to Test Notice within 48 hours. This Authorization to Test is a yellow postcard that will contain important information about the tests. If one has not received this within 10 working days, immediately contact the NACES at (800) 579-3321. All the state-approved schools that are offering certified nursing assistant training in Quitman, Mississippi that are open for enrollment are shown below. Once enrolled you will learn the fundamental occupation skills, get skills practice, and testing preparation. 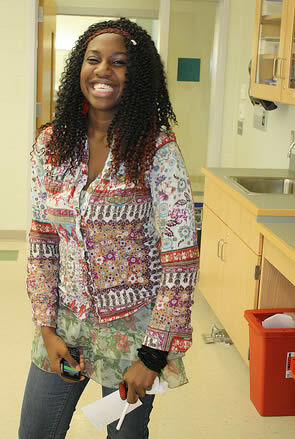 The best way to enter the medical field today is to become a nursing assistant. Not only do you gain entry into the medical world, you will also have opportunities for higher degrees and certifications which are only available to CNAs. The first step in becoming one is to look for a training program to enroll in. The program you select must be state-certified in order for you to become eligible to take the license exams afterwards. Such programs are offering a total of 130 hours of training. These hours will be divided into clinical duties and classroom lectures. In order to complete the required number of hours, you must be present in all trainings. After you complete your training, you can then apply for the license exams. 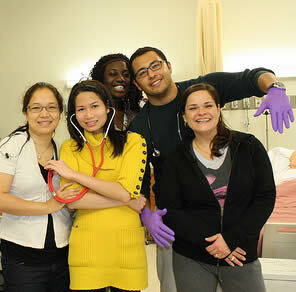 Nursing graduates and registered nurses may also apply if they wish to have a career as a nursing assistant. The license exams are composed of a written/oral and a skills evaluation. They are handled by Pearson Vue. In order to receive your certification, you must be able to pass all the exams. You can call Pearson Vue toll free and speak with one of their support staff to schedule an examination date at 1-888-204-6213. CNA certification for this state last only two years and must be renewed in order to remain eligible to work as a nursing assistant. To keep your certification, you must have worked for at least a day within every 24 consecutive months. You will then present proof of your employment to the Registry to keep it active. You can speak to a representative of the Mississippi State Department of Health by calling 601-364-1100 to learn more about current license requirements. The nurse aide programs that are currently available for enrollment in Port Gibson, Mississippi are listed on this page. By enrolling in these classes you will meet the requirements of the state registry for training and be able to take the license exams. Taking the CNA license exams is the final step in becoming a nursing assistant. In order to take the exams, you will need to apply for it first as well as meet several different requirements. You can get an application form from your employer, training program, or by contacting the NACES. When applying, you will need to provide a copy of your background check records, proof of training, and the payment for the testing fees. Taking both the written/oral exam and the skills evaluation will cost you $101. If you are retaking the only the written or oral exam, you will only need to pay $32. For the skills evaluation only, it costs $69. All payment must be in the form of pay checks, which should be made to the NACES. The license exams for this state are handled by Pearson Vue. Once they receive your application, they will be the ones who will send you an Authorization to take the test within 48 hours. If you fail to receive your authorization within 10 working days, then you must contact NACES. For more information, you can follow this link: http://msdh.ms.gov/msdhsite/scripts/ExternalLinkHandler.cfm?returnURL=http://msdh.ms.gov/msdhsite/_static/30,1285,83,74.html&destination=http://www.PearsonVue.com. You can call to speak with a representative to schedule a date to take the exam by calling toll free to 1-888-204-6213. Those who have been certified in another state or have an inactive status may qualify for reciprocity. This process will enable you to retake the exams without going back through a training course. If you want information about nurse aide licensure in the state you can contact an official administrator at 601-364-1100. Port Gibson serves as the County seat of Claiborne County. This city was charted as a town back in March 12, 1803. It has a total area of 1.8 square miles, where all of it is land. According to the 2010 census, their total population was estimated to be 1,567 people. The certified nurse aide training schools that are found in Pontotoc, Mississippi are listed for you in detail on this page. Enrollees who complete one of these state approved classes will become eligible to schedule a date for the license test. Those who want to be certified to work as nurse aides will need to abide by several requirements. Primarily these are passing background screening, enrolling in a training course and passing the certification exams. Course must be approved by the registry to qualify for you to schedule an exam date once finished. 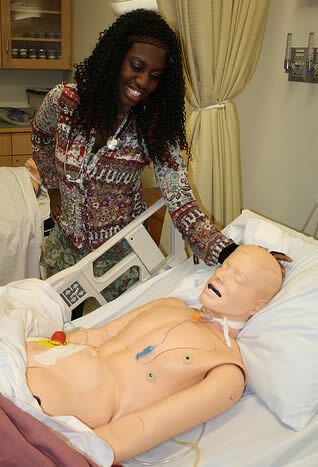 During your course you will learn a variety of skills and procedures that are necessary for safely caring for others. You will be tested on many of these tasks during your two part license exams. The only way for you to become a nursing assistant is if you schedule a test date and pass the state’s license exams. By passing all the tests, your name will be entered on the NA Registry and you will be given your license. According to the law, all nursing assistants must be registered on the state’s NA Registry. CNA license holders from other states may also transfer and work in Mississippi by applying for reciprocity. When they apply, they will be asked to provide proof of their experience, education, and training. They will also be required to pass both the federal and state background checks. Nursing assistant licenses for this state last only 2 years. In order to continue working in a nursing facility, the holder must renew it before it expires. The basic requirement when renewing is being able to show proof that the holder was able to work for at least 8 hours as a paid nursing assistant every 24 consecutive months. Pontotoc is a city that is found in Pontotoc County. This city also serves as the county seat. You can find Pontotoc just west of the city of Tupelo. The name of this city was taken from a Chickasaw work that means “Land of Hanging Grapes”. It has a total land area of 9.4 square miles and is also known as “the Little Broadway”. As of the 2010 census, the total population of Pontotoc had reached 5,625 people. The accepted nursing assistant schools that are enrolling students in Philadelphia, Mississippi as of the making of this post are listed below. To find out about their schedules, tuition fees, and enrollment details, you can call them during business hours with the number below their names. There are two ways to become a CNA in Mississippi. One is the take the NNAAP exams while the other is to apply for reciprocity. The second option however, is only available for those who are already nursing assistants and are currently registered in a different state. Reciprocity is the process in which a nursing assistant is transferred to a state and is given the power to practice and work as a nursing assistant in Mississippi. When they apply, they must have an active status or license on their state’s NAR. Their records must also be free of any accounts of negligence, malpractice, abuse, or misappropriation of the patient’s or resident’s property. They should also be able to pass both the federal and state criminal background checks. The NNAAP examination is designed to evaluate the individual’s capacity to become a nursing assistant. It tests the applicants in both knowledge and skills since it is composed of a written/oral exam and a return demonstration on the basic nursing skills. Only by passing all the tests will the applicants name be then entered on the state’s NAR. Pearson Vue handles the examination and can be contacted to schedule a test date at 1-888-204-6213. One of the requirements to be allowed to take the exams is to complete a 130-hour training class that is approved by the state. Classes will teach you the fundamental health care procedural theory and offer you skills practice using common nursing tasks in a clinical setting. Philadelphia is the current county seat of Neshoba County. According to the 2010 census, the total population of the city had reached up to 7,477 people with a population density of 688.1/sq mile. Philadelphia has a total area of 10 square miles, where all of it is land. The nursing assistant programs that are currently accepting enrollment in Pascagoula, Mississippi are listed in detail below. To get the latest details about how you can qualify for their instruction, try calling the facility and speaking with one of their school coordinators. For you to be able to work as a nursing assistant in this state, you must have a CNA license. You will only get one if you were able to pass the NNAAP exams. By passing the license exams, your name will be added to the NA Registry. Only those whose names are on the list with an active status are allowed to work in a LTC facility as a nurse aide. The NNAAP exams are composed of a written/oral exam and a skills evaluation exam. In order for you to get your license, you must pass all the tests. If you fail in one portion, you will only need to retake the part that you failed. The examination is conducted by Pearson Vue, and you can reach them for more information or to schedule a test date by calling them at 1-888-204-6213. Each applicant who failed has a right to file a grievance to complain about the results if his exams. The NACES Plus Foundation will follow-up on each submitted grievance within a month from the date they received it. If the grievance was not received by the NACES Plus Foundation, then it will not be investigated. All grievances must be submitted within 30 days from the date of the candidate’s examination. To maintain your license you will need to renew it every two years. This is done by submitting work verification from your place of employment. You can contact the Mississippi State Department of Health at 601-364-1100 for additional details about renewal requirements. They also can assist you will reciprocity forms and help affirm a training course has been approved for enrollment. Pascagoula serves as the county seat of Jackson County. It is the main city of the Pascagoula Metropolitan Statistical Area, and is also a part of the Gulfport-Biloxi-Pascagoula Combined Statistical Area. The name of the city was derived from a group of Native Americans who had their villages along the Pascagoula River. The name Pascagoula means “bread eaters”. This city has a total area of 18.2 square miles and a total population of 23,452. All the nursing assistant classes that are currently open for enrollment in Oxford, Mississippi are shown to you in detail on this page. If you have any questions about them, you can call them during working hours with the number provided below their centers’ names. When you want to become a nursing assistant, you will need to take the license exams first. Before you are able to do this, you will need to become eligible to apply for it by completing a state-approved training program. It will take you 6 weeks to finish a program that is approved by Mississippi. After you complete your training, you can then ask your training program for an application form. A few days after the NACES receive your application, you will receive their authorization to take the exams and the date you are scheduled to take them. During that day, you must arrive 30 minutes before the scheduled date. If you are late for the written exams, you will no longer be allowed to take it and your fees will not be refunded. If you are not able to take the exam on your scheduled date, you must inform the NACES 5 working days before hand. If you do not call and inform them, and you are still unable to attend the exam date, you will not be given a refund. If you are able to do so, you may take the exam on a later date without any penalty fees. For questions regarding the examinations you can contact Pearson Vue at 1-888-204-6213. If you want to learn more about certification you can call the Mississippi State Department of Health at 601-364-1100. The city of Oxford is the county seat of Lafayette County. It was founded back in 1837 and has been nicknamed as “The Oak”. According to the 2010 census, the total population of the city has risen to 18,916. This city has a total area of 10 square miles, where all of it is land. Oxford has been named as one of the top six college towns in the country by USA Today. The nursing assistant training that is being offered in Greenwood, Mississippi is listed below. Course, once completed will allow you to schedule a certification exam date. If you want to find out more, you can call them during working hours with the number provided. If you want to become a nursing assistant, then you will need to comply with the Federal and State’s training and testing regulations. To be able to work in the state as a CNA, you must be able to get a license. One option for you is to pass the NNAAP exam. This exam is designed to determine the competency of an individual to work as a nursing assistant. Before you can challenge the exams, you will need to first acquire the proper training and education by enrolling in a state-approved training class. Training classes that are from other states will not be honored and you will not be allowed to apply for Mississippi’s license exams. The classes here take 6 weeks to complete. You have to be present in all trainings to be able to meet the required 130 hours of training. After you complete your training the next step is to apply for the license exams. 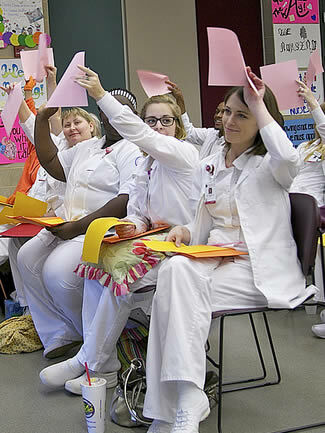 These exams are not only limited to those who were able to complete a nursing assistant class. Nursing graduates and foreign registered nurses may also apply for the exams if they want to work as a nursing assistant. The latter mentioned may have different or additional requirements. Greenwood is the county seat of Leflore County. You can find this city situated at the eastern edge of the Mississippi Delta. It is only about 96 miles north of Jackson and 130 miles south of Memphis, Tennessee. According to the 2010 census, the total population of this city was estimated to be around 16,087 people with a total area of 13 square miles. Greenwood is also known as the “Cotton Capital of the World”. Major Highways that are passing through this city are U.S. Routes 82 and 49. The nursing assistant training that is found in Biloxi, Mississippi and is available for enrollment is shown to you on the list below. Classes have been authorized by the state registry and will allow you to take the exams for your certification upon completion. To find out more about these programs, you can contact them with the number provided. If you want to work as a nursing aide, you will need to get a CNA certificate. This is only given to those who were able to meet the testing and training requirements of both the Federal and State. For the training portion, programs that are offered in the state last for only up to 6 weeks. You will need to complete 130 hours of training, which are divided into classroom lectures, laboratory work, and clinical duties. After you complete your training, you can then proceed to take on the license examinations, which are offered by Pearson Vue. The exams are composed of two parts; a written/exam and a skills evaluation on the nursing skills that you learned in the program. The first part of the exam will be composed of 70 items. As for the skills evaluation, out of all the skills that you were taught you will be given 25 minutes to do 5 randomly selected skills. You must pass all the tests to get your name certificate. It is not enough to get your name on the NA Registry and have your certificate. To be able to work, you must also have an active status on the Registry. Nursing aide certificates are only valid for up to 24 months. To continue your work, you will have to renew it. Your status will be kept active if you were able to work for at least 8 hours as a paid nurse aide every 24 consecutive months. The city of Biloxi, along with its adjoining city of Gulfport, it serves as the county seat of Harrison County. Biloxi is also known as “The Playground of the South, Buck City, and The Promise Land”. This city has a total population of 44,054 and a total area of 46.5 square miles, making it the 5th largest city in the state of Mississippi. The main highway to get to the city is the U.S. Highway 90. Interstate 10 also passes through the northern sections of Biloxi. You can find on this page all the nursing assistant schools that are open for you to enroll in in the city of Corinth, MS at this time. If you want to learn more about their training programs, you can call the number provided below ans speak with one of their course coordinators. The only way for you to be able to work in Mississippi as a nursing aide is to get a CNA certification. The certifications are only given to those who have met both the Federal and State requirements in training and testing. With the training durations for this state, you can become a nursing aide in a matter of 6 months. The license exams are composed of two parts, a written exam and a skills demonstration. The written exams can also be replaced with an oral examination. This portion contains 60 multiple-choice questions that must be completed within 2 hours. During the exams, the examiner will inform you and your fellow applicants when there is only 15 minutes left in the exams. For oral exams, there is an additional portion where the applicant will be tested if he/she is familiar with the common terms used in the healthcare facility. The second part of the tests is the skills evaluation. 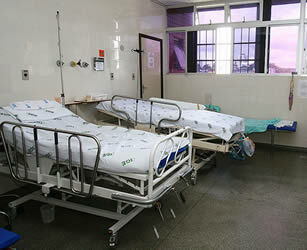 In this portion, you will be placed in an area that will resemble an actual healthcare situation and setting. 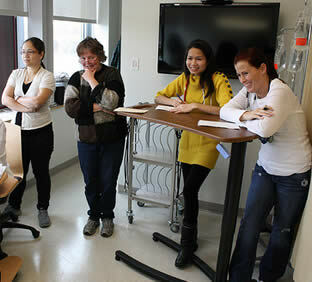 During this time, you will be asked to perform randomly chosen nursing skills that are taught in training programs. To pass the license exams, you will need to pass all the tests. Once you pass, you name will be added to the state’s Nursing Aide Registry. You will also receive a certification that has your name on it. Corinth is the county seat of Alcorn County. According to the 2010 census, it has a total of 14,573 and a population density of 461.5/sq miles. This city was founded back in 1853 with its total area of 30.6 sq miles. Only a small portion of this state is water. The name of this city was derived from the city in Greece, which also served as a crossroad. This name was suggested by the town’s newspaper editor, W.E. Gibson. The certified nursing assistant school programs that are currently open for enrollment in Batesville, Mississippi are found on this page. Course must be authorized by the state registry to qualify one to take the license exams. Contact the facility administrator to learn how their classes can help you. It is not that hard to become a nursing assistant if you know what to do. The first thing that you should do is to look for a training program to enroll in. Because of the high demand for this profession, there will be no problems for you looking for one. Before you enroll, you have to make sure that it is approved by the state so you will not have any problems applying for the license exams after you complete your training. The license exams for Mississippi are being offered by Pearson Vue. The first part of the exams is a written exam, which is composed of 70 multiple-choice items. Ten of those items are pre-test questions and will not be included in the total score. For those who are not very good in English, they may request to have an oral exam instead. They can request for one when they apply for the exams. The oral exams are composed of 60 items of multiple-choice questions and 10 items about reading and comprehension. The second part of the examination is about skills evaluation. In this exam, the applicant will be required to perform 5 randomly selected nursing skills in front of a nursing assistant evaluator. Each applicant is given 25 minutes to do all of them. They must do all of the skills satisfactorily in order to pass this part. If you have completed your training you can contact Pearson Vue to schedule a test date or for other questions regarding the examination by calling 1-888-204-6213.
those who wish to transfer their certification from another state may qualify for reciprocity. An application must be filled out, and a fee of $26 and $101 for the exam must be paid. You can learn more by calling the support personnel at the Mississippi State Department of Health at 601-364-1100. Batesville is a city that is found in Panola County. It is one of the two county seats of Panola County; the other county seat is Sardis. Batesville has a total area of 11.1 square miles, where all of it is land. As of the 2010 census, the total population of the city was estimated to be 7,463. The nursing assistant training programs that are being offered in Winona, Mississippi as of the making of this page are all shown to you in details here. By entering a state approved course you will become eligible to schedule a certification exam date upon finishing. The very first step that you need to do to become a nursing assistant is to find a state-approved training program to enroll in. These programs are found all over the state because of the high demand for the profession. To be enrolled in one of these programs, you must be at least 18 years old, be physically capable of handling the patients, be free of any communicable conditions, and have complete immunizations. Once you are enrolled, you will be spending your next 6 weeks in classroom lectures and on-the-job training experience. You must complete the 130 hours in order to graduate from the program. To do this, you must be present in all of the training sessions. You will be taught different concepts such as infection control, patient’s rights and independence, mental health, rehabilitation, assisting in different daily activities, and certain emergency procedures. By completing a state-approved training program, you will become eligible to apply for the state’s license exams. Nursing graduates and foreign registered nurses are also able to apply for the exams if they are able to meet the requirements. If you pass the written/oral exam and the return demonstration of the nursing skills, your name will be entered on the Nurse Aide Registry and you will receive your license. Reciprocity is available to those who are currently a certified nurse aide in good standing with another state, or have previously been listed in the MS registry. To qualify applicants must submit an application and pay a reciprocity fee of $26.00 as well as a testing fee of $101.00. Those who qualify for this process will receive one opportunity to pass the test. If an applicant is unable to pass one of the portions of the two part exam they will need to retake a training course. Call the Mississippi State Department of Health at 601-364-1100 to learn more about how you can qualify for this process or to ask additional questions. The City of Winona is the county seat f Montgomery County. This city has the nickname of “Winetown”; to the locals, it is also known as “The Crossroads of North Mississippi” because of its geographical location. Winona has a total area of 33.8 square miles, where almost all of it is land. According to the last census, their total population was estimated to be 5,482 people. The nursing assistant training programs that are currently available for enrollment n Clinton, Mississippi and are approved by the state are found on this page. Classes will prepare applicants for taking the two part license exams and offer skills and theory instruction about basic health care procedures. If you want to become a nursing aide in the state of Mississippi, then you will need to meet the Federal and State training and testing requirements. Becoming a nursing aide is currently one of the best ways for you to start your career in the medical field. This will also open new chances for you to get higher degrees once you get your CNA certificate. For the training, you will need to enroll in a 130-hour training program. The program must be approved by the state so that you will have no problems when you apply for the license exams. Your training will be composed of Theories and on-the-job training. The training programs will take 6 weeks to complete. You must be present in all training sessions in order to complete your 130 hours of training. Once you are through with your training, the next step is to apply for the license exams. When applying, you will need to submit the completed application form, which you can get from your training program, and proof of your training. You will also need to send in a $101 money order to NACES for the testing fees. If you pass both the written/oral exam and the return demonstration, you will get your name on the Registry and your certificate. To speak to a state representative to learn more about requirements or to get answers to specific questions you can call the Mississippi State Department of Health at 601-364-1100. The city of Clinton was founded back in 1823 originally as Mount Salus. It was only changed into its current name 5 years later in honor of DeWitt Clinton, who was a governor of New York. You can find this city in Hindus County. It is currently the 10th largest city in the state with a total population of 25,216 and a total area of 42.1 square miles. The certified nursing assistant training centers that are currently found on this page are all the most recent and up-to-date training centers in McComb, Mississippi as of the moment. To learn more about the enrollment procedure and requirements of the course call to speak with a school counselor. According to the law, any individual who wants to have a career as a nursing assistant must take the National Nurse Aide Assessment Program Examination. The examination is composed of two parts, a written (or oral) exam and a demonstration of the basic nursing skills. The two exams will be done on the same date. 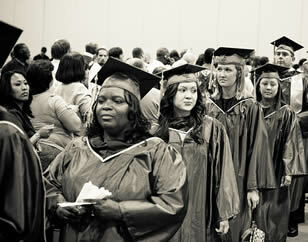 In order to gain entry into the Mississippi Nursing Assistant Registry, the applicant must be able to pass both tests. The written examination is composed of 70 multiple-choice questions. The 10 of those are pre-test questions and are not included in the total score. An oral examination is given to those who have difficulty in reading English. This exam is composed of 60 items of multiple-choice questions and 10 additional items of reading comprehension. To take an Oral exam instead of a written one, the applicant will need to request for one during the application. After taking the written/oral exam, the skills evaluation is next. In this part, the applicant will be asked to perform five randomly selected nursing skills that were taught in the training program. Every applicant will be given a maximum of 25 minutes to perform all the skills in front of a nursing assistant evaluator. Pearson Vue conducts the testing and can be called about any questions you have or to setup a test date by calling 1-888-204-6213. Those who have previously been certified in the state and had their license lapse or those who are currently certified in another state may be able to qualify for reciprocity. This process allows qualified applicants avoid retaking the training requirement and go directly to the testing phase. To apply one will need to submit an application, a $26 reciprocity fee and a $101 testing fee. The stipulation is that applicants are only allowed one chance to pass both of the tow parts of the exams. Those who fail either portion will be required to re-enroll in a school course. The City of McComb is located in Pike County. You can find this city only a few miles south of Jackson. McComb has a total area of 11.6 square miles and is a part of the McComb Micropolitan Statistical Area. Founded in 1872, this city was named after Henry Simpson McComb. Since its founding days, the total population of McComb has now risen to a total of 13,644 people. The Certified Nursing Assistant classes that are found in Horn Lake and are approved by the state of Mississippi are all found on the list below. To learn more about the requirments necessary to enroll, call the faculty to speak with a course coordinator. 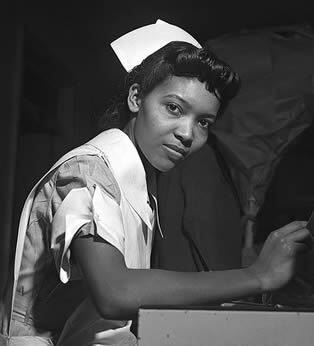 A nursing assistant is a person who gets paid to routinely render to patients the basic nursing services. According to the law, all nursing assistants working in a healthcare facility must be registered and have an active license. To get one, you will need to challenge and pas the CNA certification exams, which are only available to those who have received proper education and training. If you have none, then you will need to find a nursing assistant program to enroll in. These programs last for up to 6 weeks. To complete the required 130 hours of training, you must be present in all training sessions. Your training will be composed of a theory and clinical duties. When you complete your training, you may then ask from your training program the application forms for the exams. You can also call the NACES and request for one. Aside from submitting the application form, you will also be required to send in proof of your training and the results of your background checks. To pass the background checks, you must not have any records of neglect, abuse, or misappropriation of a patient’s property. The last one is generally applicable for those who were already involved in healthcare. For more information, you can go visit www.pearsonvue.com since they are the ones who are conducting the exams. You can also call directly to speak with a customer representative of Pearson Vue to set up a testing date by calling 1-888-204-6213. Those who have previously been certified or those who are licensed in another state may qualify for reciprocity. This will allow the applicant to take the certification exams without the need of retaking the training portion of the requirement. To qualify you will need to submit a reciprocity fee of $26.00 and the test fee of $101.00. The applicant must pass both the written and clinical skills part of the test in one attempt or be required to retake a training program. You can learn more about the current qualifications required to become licensed by calling the Mississippi State Department of Health at 601-364-1100. This city is situated in DeSoto County. It is also a suburb of Memphis, Tennessee, which is only a few miles north of Horn Lake. This city considers itself as the “Doorway to Mississippi. As of the 2010 census, their total population had reached 20,066 people, with a population density of 1,499/square mile. The City of Horn Lake has a total area of 16.2 square miles, where only 0.1 square mile of it is water. 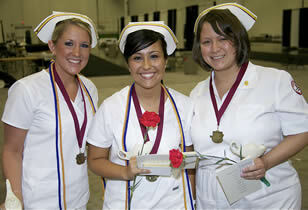 The nursing assistant classes found in Brandon, Mississippi are provided for you on this page. All the programs that are listed here are approved by the state of Mississippi. Finishing a course will allow you to take the exams and become listed on the state registry. If you want to become a nursing aide, you will need to pass the NNAAP examinations. These exams are composed of a written and a skills evaluation and are conducted by Pearson Vue. Before you are allowed to take the exams, you must apply for it first by submitting the application form along with other requirements. In order to be eligible for the exams, you must complete a state-approved program. Those who undertook their training in a different state, regardless of the training program being approved or not, are not allowed to take the Mississippi license exams. If they want, they may take the exams in the state where they completed their training and apply for reciprocity after passing. For those who are not that good in reading English they are allowed to request to have an Oral exam when they apply for the exams. In accordance with the law, Pearson Vue also provides special provisions for those individuals who require additional or special consideration such as those that have disabilities. To arrange for special accommodations, the applicant must request for one from the NACES when applicant sends in his/her application form. You can reach them by phone by calling 1-888-204-6213. All who become certified will need to renew their licenses every two years. This is done by showing verification of 8 hours working as a nurse aide from your employer and submitting it to the state. You can speak to a representative of the MS State Department of Health by calling their helpline at 601-364-1100 to learn more about this process. Generally you will receive a renewal form in the mail prior to your due date. However, if you do not receive your notice it is important that you contact them. The city of Brandon is currently the county seat of Rankin County. This city was once an important location for Native American activities before the arrival of the white American settlers. This city is a part of the Jackson Metropolitan Statistical Area. According to the census of 2000, the total population was estimated to be about 16,436 people. The nurse aide training courses that you can enroll in as of the moment in Grenada, Mississippi are all listed on this page. If you have any questions regarding their courses such as fees, schedules, and enrollments, you can call them with the number provided below each course’s name. Because of its increasing demand, more and more people are thinking about becoming a CNA. Since many healthcare facilities need nursing aides, there will be no problems looking for work for newly graduated nursing aides. Becoming a nursing aide will not only grant you access to the medical field, it can also open new opportunities for you to get a better certifications and degrees. There are a lot of things that must be done to become a nursing aide. First of all, you will need to enroll in a state-approved training course to get the proper education and skills to take care of the patients. In order to be accepted into one, you must be at least 18 years old, get a negative result in the TB tests, provide your immunization records, and be physically capable to take care of other people. There may also be some courses that require you to submit your criminal background check results. The training courses in the state are required to offer their students no less than 130 hours of training. Those hours will be divided into classroom instructions, laboratory works, and clinical duties. You must complete the 130 hours to graduate from the course. Once you do, you will then be able to apply for the license exams. If you pass all the tests, you will get your certificate and be allowed to work as a nursing aide. The city of Grenada serves as the county seat of Grenada County. This city was formed back in 1836 by combining the towns of Pittsburg and Tulahoma. The city was founded by Franklin Plummer and Hiram Runnels. According to the last census, the total population of the city had grown up to 13,902 people with a population density of 440/square mile. Grenada has a total area of 30 square miles. The certified nurse aide training schools that are available for enrollment are shown on this page. Those that are listed here are all the state-approved programs in Brookhaven, Mississippi as of the moment. You can learn more about their vocational program by calling the facility with the number listed on this page. 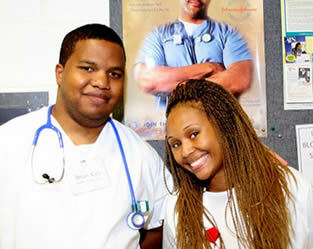 If you are thinking of a way to get into the medical field, you should think about becoming a nursing aide. Healthcare facilities all over the nation are currently demanding and hiring more nursing aides. Comparing it to other options, becoming a nursing aide is far less cheaper and time consuming that others. The first thing that you will need to do is to find a training program that is approved by the state and enroll in it. Keep in mind that the program has to be approved by the state or else you will not be allowed to apply for the license exams afterwards. State-approved programs are required to offer 130 hours of training. Your training will be composed of lectures, laboratory work, and clinical exposure. It will take you 6 weeks to complete. Once you are through with your training, you can then proceed and apply for the National Nurse Aide Assessment Program, which is an examination that is designed to test out the competency of the individuals who want to become nursing aides. The exams are composed of a written and a skills evaluation exam. You will need to pass both of them in order to get your license. You can find out more information about testing and the latest requirements to qualify by calling Pearson Vue at 1-888-204-6213. If you have general questions about the steps necessary to become certified to work you can contact the Mississippi State Department of Health at 601-364-1100. Brookhaven is a small city that is located in Lincoln County. This city also happens to be its county seat. Founded in 1818, it was named after a town in New York by its founder Samuel Jayne. According to the latest census, this town had a total population of 9,861 people. The total area of Brookhaven is approximately 7.3 square miles, in where all of it is land. Because of its expansion in 2007, it is now almost three times its original area. The nurse aide training centers in Booneville, Mississippi that are shown here are all the recent and up-to-date centers that you can enroll in as of the moment. Students once they complete the course are allowed to schedule a test date for the license examination. 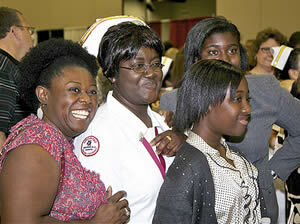 There are not more and more people looking for ways to become a nursing aide in the state of Mississippi. 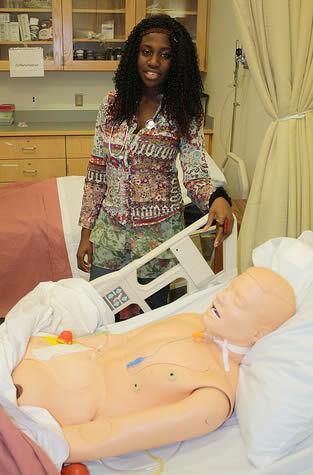 Becoming a nursing aide is one of the best options today to enter the medical field. In order to work as a nursing aide, you must have a CNA license, which is only given to those who were able to get their name on the Nursing Aide Registry by complying with the federal and state training and testing regulations. 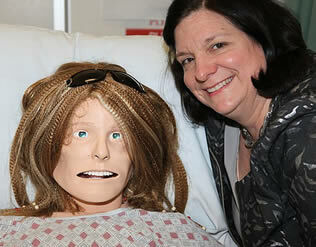 Nursing aide training is composed of theories and clinical duties. The two of them must meet a total of 130 hours, in order for the training to be acceptable by the standards of the test. When you enroll in a program, you should only enroll in one that is approved by the state. Training programs that are approved in other state’s will not be considered by Mississippi. After the completion of training the next step is to apply for and take on the state’s license exam. The examination is composed of a written (or oral) exam and a skills evaluation. You will need to pass both of them in order to get a license. You can find more information by going to www.pearsonvue.com since Pearson Vue is the authorized conductor of the license exams for Mississippi. If you are certified in another state and currently have an active status and are in good standing you may be able to transfer your license. This also applies to those who have previously been certified and have failed to renew their certification. The process is called reciprocity and can allow you to avoid retaking a training program and go straight to the license exams. There is a fee of $26 that is needed along with a completed application and a testing fee of $101. You can call the MS State Department of Health at 601-364-1100 to learn more. Booneville serves as the county seat of Prentiss County. This city was named after R.H. Boone, who was a relative of Daniel Boone, who in turn was an early American pioneer. Bonneville has a total area of 25.7 square miles, where all of it is land. As of the 2000 census, the total population of the city was estimated to be at 8,625 people. The nurse aide programs that are being offered in Picayune, Mississippi as of the moment are shown in detail below. Courses must be authorized by the state registry. 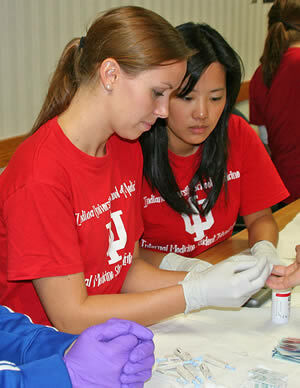 During instruction you will learn the basic health care procedures needed on the job. To become licensed to work in a health care facility as a nurse aide you will need to follow several steps. First being that you enroll in a program that meets the criteria of the state registry and teaches the fundamental skills needed to care for patients properly. Courses must be approved by the state and provide a specific amount of instruction. After completing the training you will become eligible to set a testing date for the certification test with the Pearson Vue company. This company is contracted to administer the examination and can be contacted by calling toll free to 1-888-204-6213. Applicants who pass both portions of the exam which are a multiple choice test and a skills test will become certified. When you apply for the license exams, you will be required to submit a money order that should be cashed to NACES. If you are taking the license exams for the first time, then the total amount that you will need to pay is $101. If you are only taking the written/oral exam then the payment is $32. The skills evaluation exam costs $69. Once the money is received, you will no longer get a refund for any reason. After sending in your application, you will need to wait for a few days to get your scheduled date for the exams. If you cannot take the exams for any reason during that day, you will need to call the NACES at least 5 days to reschedule. If you are able to do that before the deadline, you can reschedule your exams without any additional costs. 3. A restricting traffic accident. If you have any questions regarding certification or the current list of requirements required to become certified as a nursing assistant here you can call an associate of the Mississippi State Department of Health at 601-364-1100. Picayune is considered to be the largest city in Pearl River County. It has a total area of 11.8 square miles, and according to the 2010 census, its total population had reached 10,878 people. This city is only a few miles from New Orleans and Hattiesburg. Picayune is also known as the “Yune”. This city was founded back in 1904 and was named by Eliza Jane Poitevent Nicholson, who was the owner and the publisher of the New Orleans Daily Picayune, which in turn was named after the Spanish coin. All the certified nurse aide classes that are available for enrollment in Morton, Mississippi as of the making of this post are shown on the list below. Instruction will give you the opportunity to learn the fundamental skills necessary for the job and help get you ready for the license testing. The first thing that you need to do if you want to become a nursing assistant is to look for a training class to enroll in. You have to make sure that the class is approved by the state before you enroll in it so that you will have no problems in applying for the license exams afterwards. With the increased demand for nursing assistants, there are not plenty of training classes that you can find all over the state. In order to be accepted in a class, you have to be at least 18 years old when you apply. Aside from that, you must be physically capable of handling different patients. You should also have a negative result on the TB test and not have any communicable disease. Some training classes will require you to submit the result of the criminal background checks upon enrollment. These checks will be done in both Federal and State levels. It will take approximately 6 weeks to complete the required 130 training hours. After that, you can then apply for the National Nurse Aide Assessment Program examination, which is given through Pearson Vue. They can be reached by calling 1-888-204-6213 to set up a test time and date. These exams are composed of a written/oral exam and a skills demonstration. For the written portion the applicant will need to answer 70 multiple choice problems. 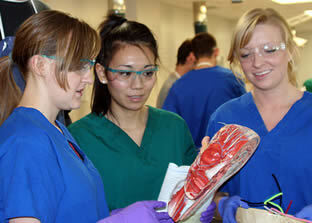 During the skills portion one will need to correctly demonstrate five tasks used by a nurse aide chosen at random. If you want to find out more about the exams, you can visit www.pearsonvue.com. By passing all the exams, you will then receive you license, which is valid for up to 24 months. It must be renewed before it expires in order to continue to be eligible as a nursing assistant. One of the main requirements is that the holder must be able to work for at least one day within that time. 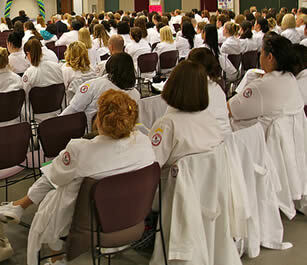 All the nurse aide school that are conducting classes in Diamondhead, Mississippi are found in detail on this page. To learn more about the steps required and qualifications to enroll in this health care training, please call the facility using the phone number listed below. According to the law, all individuals who want to become a nursing assistant are required to take and pass the NNAAP examinations which are composed of a written and a skills evaluation of the basic nursing skills. Each state has its own authorized conductor of the exams. For Mississippi, that conductor is Pearson Vue. Before one is able to take the exams, one has to become eligible to apply for it first by being able to complete a 130-hour state-approved training class. To complete the required number of hours, the student must be present in all its training sessions. 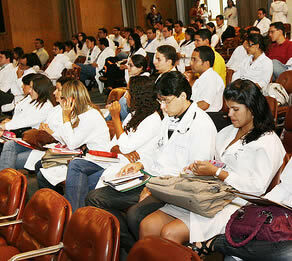 The training will be divided in to lectures and clinical exposure. The program lasts up to 6 weeks. Only those who were able to complete a training program that has met the federal and state’s standards will be allowed to apply. After completing the training, the graduate can then ask for a copy of the application form from the class or directly ask for it from the NACES by contacting them at (800) 579-3321. Along with the application forms, the applicant must also send in a copy of his training certificate and $101 for the testing fees. All documents must be sent no less than 12 business days from the date of the exams. The schools that are currently available for nurse aide programs in Leakesville, Mississippi are listed below. To receive the latest details about what you need to do to enroll in their classes, please call to speak with one of their course administrators. The NNAAP or the National Nurse Aide Assessment Program is an examination program that was designed to test out the competency of the individuals who wish to become a nurse aide. All those who want to become a CNA, are required to take this exam. Each state has its own authorized administrator of the exams. For Mississippi, that administrator is Pearson Vue. The NNAAP exams are composed of two parts, the written and the skills evaluation exams. For those who have problems with the written exams, the state also allows them to take an oral examination instead. In order to get into the Registry, the applicant must be able to pass all of the tests. The written exam is composed of 70 multiple-choice questions. As for the oral exam, there will be two parts; one is the 60 item multiple-choice exam while the other 10 will be about a reading comprehension exam. To take the oral exam instead of the written, you will need to request for it when you apply for the exams. In the skills evaluation, every applicant will be given 25 minutes to perform 5 randomly selected nurse aide skills. To pass this portion, the applicant must be able to perform all the skills satisfactorily. 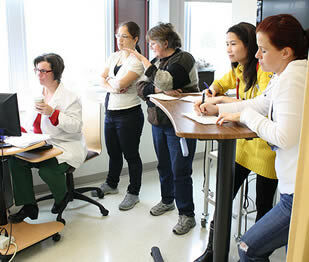 While performing, the applicant will be watched and scored by a nurse aide evaluator. You can call Pearson Vue to speak with someone about any questions you have regarding testing or to schedule an exam date by calling 1-888-204-6213. Once certified and include on the state registry you will still need to maintain your status so it remains in good standing. To do this you will need to renew your license every two years by submitting verification of work. You can learn more about requirements of a certified nurse aide by calling the Mississippi State Department of Health at 601-364-1100. Leakesville is the county seat of Green County. You can find this town just along the Chickasawhay River, around the junction of State Routes 63 and 57. Leakesville has a total population of only 1026 people and a total area of 1.6 square miles. The nurse aide programs that are found in De Kalb, Mississippi and are available for enrollment as of the making of this post are listed for you on this page. To find out more about their courses, you can contact them with the number provided below. Programs shown here are approved by the registry. To be allowed to work as a nursing aide, you must have your name on the CNA Registry. That is the only option for you have to get a certificate. Only those whose names are on the Registry list are allowed to work in the state as a nursing aide. There are two ways for you to get your name on the list. One option is to apply for reciprocity. 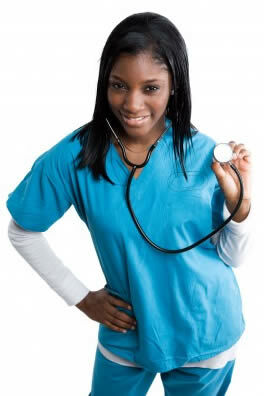 This option however, is only available to those who are already a nursing aide but is registered to a different state. Applying for reciprocity will allow an individual to transfer to the state and work as a nursing aide. When applying, the applicant must have a current and active status. He must not have any records that prevent him from working in this state as a nursing aide such a neglect, abuse, or misappropriation of a patient’s property. The second option is to first enroll in a state-certified training program and gain the proper knowledge and skills to take care of the patients. These programs will take 6 weeks to complete. You will be spending a total of 130 hours in theories and clinical duties. You will learn concepts and skills such as infection control, mental health and rehabilitation, proper hand washing, emergency procedures, promoting and respecting the patient’s rights, and assisting in ADLs. When you complete your training, you may then apply for the license exams. The NNAAP exams are designed to determine your competency to become a nursing aide. 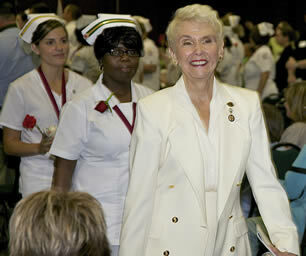 They are composed of a written/oral exam and a return demonstration on some of the nursing skills that you have learned. To get your certificate, you must pass all the tests that are conducted by Pearson Vue. For more information you can visit www.pearsonvue.com. The certified nurse aides schools that are currently enrolling applicants for classes in Magee, Mississippi are all listed below. Finishing a state recognized training course is necessary to be able to take the competency examination for your license. Call to learn more from a facility representative. In order to be allowed to work in Mississippi as a nursing aide, you must have a CNA license. The only way to get one is to take and pass all the tests in the NNAAP examinations. These exams are composed of a written and skills evaluation of the basic nursing skills that were taught during training school. There is also an oral exam instead of a written one for those who have difficulty in reading English. The exams are given through Pearson Vue. Both the exams are given on the same day. You can check out their website to find more information about the exams at www.pearsonvue.com. Their website also shows a list of the registered nursing aides in the state, if you ever what to check out an individual’s credentials. To learn more about the testing or set up a date for the exam you can call to speak with a support representative of Pearson Vue by calling 1-888-204-6213. When applying for the license exams, you are required to send a money order that should be cashed to the NACES. The total cost for both the written/oral exam and the skills evaluation is $101. For those who already took the exams and only failed one part, they are required to only pay for the part that they are going to retake. The written/oral exam will cost $32 while the skills evaluation exam will cost $69. All who become certified to work will need to renew their licenses or become inactive an unable to continue working. Every two year period you should receive a renewal notice as long as you address is up to date with the state registry. If you do not receive your notification or would like further details about the renewal process you can call the Mississippi State Department of Health at 601-364-1100. Magee is a city that is situated in Simpson County. Founded around 1820, the city was named after one of the first white settlers in the area, Phil Magee. This city has a total area of 4.9 square miles (12.6 square kilometers), which all of it is land. As of the 2007 census, the total population of the city grew to 5,019 from 4,200 back in 2000. Major Highways that you can use to get to the city include U.S. Highway 49, and State Highways 28, 545, and 541. The nurse aide training classes that are found in Laurel, Mississippi are all listed here. These courses have been recognized by the MS State Department of Health and will grant you access to take the competency exams upon completion. One of the ways for you to get your CNA certificate and be able to work in the state as a nursing aide is to take on the license exams. Before you are able to take the exams, you must complete a state-approved training program. Programs that are taken outside of the state, regardless of being certified, will not be honored. The training programs for this state take only 6 weeks to complete. If you feel that you are not ready or able to take the exams yet, every applicant is given a maximum of 2 years to take the exams. 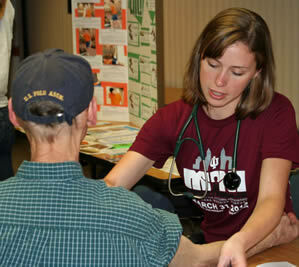 If you are already working in a Medicaide/Medicare health facility, you will only have 4 months to take the exams. The license exams are composed of a written and a skills evaluation exam. If you are not familiar with English, you may request to have an Oral exam instead of a written exam. Examiners will only be allowed to read what is on the questionnaires. They will not be allowed to translate the exams or explain them. For any questions, you can call or visit www.pearsonvue.com. They can be reached for questions regarding scheduling and the examinations by calling toll free to 1-888-204-6213. The city of Laurel is a part of Jones County. Laurel was founded in 1882 as a lumber town. According to the last census, the total population of this city has reached up to 18,393 with a total area of 15.8 square miles, where only 0.3 square miles of it is water. This city is also a part of the Laurel Micropolitan Statistical Area. Today, the major industries of this city are Howard Industries, Healthcare facilities, Sanderson Farms, and the Howse Implement. The major healthcare facility that is serving this city is the South Central Regional Medical Center. This facility is also known as one of the biggest employers of the city. Other healthcare providers that you can find in the area include. Family Health Center, Jefferson Medical Associates, South Central Behavioral Health, Laurel Surgery Clinic, Clark Psychiatric Services, Hattiesburg Clinic Dermatology, Ob-Gyn Group of Laurel, Good Shepherd Clinic, Patel Family Clinic, and many more. The nurse aide school classes that are found in Aberdeen, Mississippi and are approved by the state are found on this page. To find out more about the steps necessary to sign-up for instruction, you can call them using the number provided. Taking the license exams is one of the ways for you to gain entry into the medical field as a nursing assistant. The NNAAP exams are only available to those who were able to meet the required training such as nursing graduate and those who completed a state-certified nursing assistant training school. Foreign registered nurses are also able to take the exams if they want to. The first part of the exams may either be a written or oral exam. To get an oral exam, the applicant must request for one during his initial application. The exams will be composed of 60 items, which will all be multiple-choice questions. For the written, there will be 10 additional pre-test questions, which will not be included in the total scoring. As for the oral exam, its second phase will also be 10 questions but will be about reading and comprehension. The second part of the exams is the skills evaluation exam. In this part, every applicant will be asked to perform at least 5 randomly selected skills. They will be given 25 minutes to perform all the procedures. In order to pass this part, the applicant must do all of them satisfactorily by doing those that are on the checkpoints for each skill. After you pass all the exams, your name will be automatically entered on the state’s NAR and you will receive your license. Your license will be valid for up to two years. If you want to continue to be eligible for work as a nursing assistant, you will need to keep your license active by renewing it every 2 years. To do this, you must work for at least 8 hours within that time as a pain nursing assistant. The list below shows all the available and approved nurse aide training programs that are found in Natchez, Mississippi as of the making of this post. To get the latest details about schedules and enrollment requirements for their program, call to speak with a facility administrator. To become a nursing assistant, you must first find a CNA training program to enroll in. In order to be accepted you must be at least 18 years of age. You will also need to show different documents such as a certificate that shows you passed the criminal background checks, negative TB tests, and your immunization records. You have to prove that you are fully capable in taking care of the patients. Once you complete your training, you will then be spending most of your time in classroom lectures and clinical duties. The training programs in the state of Mississippi take 6 weeks to complete. To meet the required 130 hours of training, you must be present in all training days. After you complete your training, you will then be able to apply for the license exams. Passing the license exams is the only way for you to get your name entered on the NA Registry and receive your certification. When applying, you must submit a copy of your background check results, proof that you completed training, and the payment for the different testing fees. Those who have been certified in another state may qualify to transfer their certification to this state. The process is called reciprocity and in order to be eligible the applicant must currently be in good standing with the state they come from. They must have passed training and competency evaluation requirements that are comparable to those found in this state. You can call 601-364-1100 to speak with a representative of the MS Department of Health to learn more. Natchez is the county seat of Adams County. According to the last census, their total population was around 18,464. This city is considered to be the only incorporated municipality in the county. This city is also one of the oldest and most important European settlements that are located in lower Mississippi River Valley. It has a total area of 13.9 sq miles, where only 06 sq miles of it is water. The nursing assistant school facilities that are currently offering programs in Moorhead that are approved by the state of Mississippi are found on the list below. Enrollees will gain insight into caring for patients and be able to practice skills in a medical setting. Call to speak with an administrator to learn how to enroll. The first thing that you need to do if you want to become a nursing assistant is to look for a state-approved training program. It is very important that before you handle any patients you get proper training and education. Nursing assistant training consists of classroom instruction and on-the-job training. According to the state regulation, these programs are required to offer no less than 130 hours of training to their students. It will take approximately 6 weeks to complete the program. Examples of the concepts and skills that they teach in these programs include infection control, mental health, rehabilitation, the patient’s rights, and assisting in their daily activities such as bathing or toileting. Completing a training program is a requirement to be able to apply for the license exams. By passing the license exams, you will gain entry into the Nurse Aide Registry and be allowed to work in a long-term care center. The license exams are composed of a written and a skills evaluation that are taken on the same day. For those that have difficulty in reading English, they also offer oral exams instead of a written exam. After completing the exams, the individual can immediately file his application. If longer time is needed, every individual is given a total of 2 years to file. For those that have already started working in a nursing facility, they will only have 4 months to take the exams from the start of their work. The state of MS also allows for those who are certified in another state to come here and work by applying for reciprocity. In order to be qualified applicants will need to pass the competency exam in one try. This process is granted by approval only and one will need to pay a $26 reciprocity fee as well as the testing fee of $101. Those who were previously certified but failed to renew may also be allowed to use this procedure. You can call the Mississippi State Department of Health at their phone number of 601-364-1100 for more details. The certified nurse aide training classes that are available for enrollment in Monticello, Mississippi are all found in detail on this page. For more information about their training, you can call them with the number provided below. Programs must be authorized by the state in order for them to qualify you to take the competency examinations. To get your name entered on the NAR, you must be able to pass the NNAAP examinations, which are offered through Pearson Vue. Their exams are composed of a written and a skills evaluation. You can also have an Oral examination instead of a written one by requesting for it when you apply for the exams. The written/oral exam will be composed of mostly 60 items of multiple-choice questions. The written exams will have 10 questions that are pre-test questions and will not be included in the total score. As for the oral exam, it will have 10 questions involving reading and comprehension. In the skills exam, the applicant will be given a simple scenario where he will be asked to perform 5 randomly selected nursing skills in front of a nursing aide evaluator. Each student will be allotted 25 minutes to do all the tasks. Examples of the skills are washing of hands, application of knee-high stockings to the patient, assisting in ambulation with the use of a transfer belt, assisting the use of a benpan, and oral care. To get your certificate, you must be able to pass all the tests.To schedule an exam date or get additional details about qualifications required you can contact Pearson Vue by calling 1-888-204-6213. Once you pass the exams, your name will be added to the Registry and your certificate will be sent to you. Your certificate is only valid for 2 years. You will need to renew it before it expires in order to remain eligible for work. To do this, you must have worked for at least 1 day within that time. To speak with a representative of the Mississippi State Department of Health about renewal instructions you can call 601-364-1100. All the certified nursing assistant training schools that are available for enrollment in Meadville, Mississippi are found on this page. These state approved programs will provide you with the basic skills experience and knowledge to assist you in passing the license exams. To become a nursing assistant, you will need to get your CNA certificate by passing the certification exams. These exams are only available to those who were able to meet the requirements and became eligible to apply. One way of becoming eligible to apply for the exams is to complete a 130-hour training program. These programs last only for about 6 weeks, depending on which program you enroll in. Some programs also offer night classes for those who are unable to attend during daytime. After you graduate from the program, you can then ask them for a copy of the application form. You can also directly call the NACES and request one to be mailed to you or print one by going to www.pearsonvue.com. If you have any problems with filling up the applications, you can call the NACES Customer Service at (800) 579-3321. You will need to send along with the application form other needed documents such as the copy of your training program certificate. They must receive your application no less than 12 days before the exams. If you are unable to attend your scheduled examination date, you must call the NACES by need at least 5 working days before the exams to re-schedule. If you fail to call them before that time and you are still unable to attend the exam date, you will not receive a refund for your exam fees. Those who are certified in another state and wish to transfer, or those who have been previously licensed can apply for reciprocity by filling out a Reciprocity Application from PearsonVue.com. Those who qualify will just need to pay a small fee of $26.00 along with the testing fee of $101.00. Applicants will receive only one chance to pass both portions of the exams and will be required to go back and retake a training course if they fail. You can call Pearson Vue at 1-888-204-6213 to learn more. All the certified nursing assistant classes that are located in Lucedale, Mississippi are found on this page. Courses found on this page have met the requirements of the state registry. Programs will provide you with clinical skills experience and theory instruction, as well as help prepare you for the testing for certification. The first task in getting your CNA certificate is to find a training program to enroll in. By completing a 130-hour state-approved training program, you will become eligible to take the state’s license exams. If you pass all the tests in the license examination, your name will automatically be entered on the state’s NA Registry and you will receive your certificate. Nursing graduates and foreign registered nurses are also able to apply for the exams if they meet the requirements. Only those whose names are on the Registry and have an active status are allowed to work in a nursing facility. Another way of getting your name on the list is by applying for reciprocity. The process of reciprocity however, is only available to those who are already a nurse aide who is currently registered to a different states Registry. Nurse aide certificates in this state are only valid for up to two years. To remain active in the Registry, you must have worked for at least 8 hours every two years. For those who are working in a long-term healthcare facility, they are also required to complete the 12-hour yearly in-service. Lucedale is the county seat of George County. This city is a part of the Pascagoula, Mississippi Metropolitan Statistical Area and according to the 2010 census their total population had reached up to almost 3,000 people. Lucedale has a total area of approximately 3.8 square miles, where all of it is land. You can find on this page the most recent certified nursing assistant training programs that are available for you to enroll in within Liberty, MS. The instruction courses listed below are all approved by the state of Mississippi’s Nurse Aide Registry and offers certification exam preparation. The first step in becoming a nursing assistant in this state is to enroll in a training program that is approved by the state. The program must be approved for you to be able to take the license exams afterwards. Passing the license exams is the only way for you to get your name on the Nursing Assistant Registry and to receive your license. To be accepted in a program, you must be at least 18 years old. You will also need to provide proof that you are physically capable of handling patients such as your immunization records, TB test results, and physical examination results. You will also need to pass the background checks for criminal records to be accepted in a program. The programs in the state of Mississippi last 6 weeks to complete. To graduate from the program, you must meet the total 130 hours of classroom instructions and clinical duties. After completing your training, you will then be able to apply for the license exams. You will need to submit proof of your training, your background check results, and the payment for the test fees. The license exams for this state are handled by Pearson Vue, their exams are composed of a written/oral exam and a skills evaluation on the basic nursing skills. You must be able to pass all the tests to get your license. You can call toll free at 1-888-204-6213 to speak with a representative of Pearson Vue to learn more about the current requirements to qualify for the examination. Liberty is a town located in Amite County, which also serves as its County seat. During the 2000 census, their total population was estimated to be 633. This small town only has a total area of 2.07 sq miles, where only 0.01 square mile of it is water. The nurse aide training classes that are located in Kosciusko, Mississippi are found in detail on the list below. You can also find on this page information on what it takes to become a CNA in the state. If you have any further questions, you can call the number provided below each course. A new nursing aide is a fresh graduate of a NA training course and has not been registered as one in another state’s NA Registry. When applying, the applicant will need to fill-out and complete and application form and submit it along with the examination fees, a copy of his training course certification of completion, and a letter from his training program stating that he has completed and passed the necessary training. The requirements for nursing graduates are the similar when applying for the exams, with the only difference in the proof of training. Other nursing aides that are registered in a different state may transfer work to Mississippi by applying for reciprocity. Reciprocity is the process by which a nursing aide from a different state is granted permission to work in the transferring state. When applying, the applicant must show proof of training and experience and must have an active license. He/She must not have any convictions of abuse, negligence or misappropriation of the patient’s property. This city serves as the county seat of Attala County. As of its last census, it had a total population of 7,372 and a population density of 977.8 sq miles. The city has a total area of 7.5 sq miles, where all of it is land. You can find Kosciusko just northeast of Jackson and just along the Yockanookanay River. This city got its name from a Polish general named Tadeusz Kosciusko. The Certified Nursing Assistant programs that are located in Gulfport, Mississippi and are currently offering their training are shown on this page. A nursing assistant is someone who is paid to routinely provide nursing services that are delegated by registered nurses. According to the law, these individuals are required to register to the state’s Nurse Aide Registry. The NA Registry is a master list of all the nursing assistants who were able to comply with the requirements. Only those whose names are on the list and have an active status may work in a healthcare facility as a CNA. The Registry does not only keep the names of its nursing assistants, but other relevant and important information about them as well. Because of this, the Registry must be kept informed of important information such as your name and address. If these two change any time after taking the exams, you will need to notify them by sending a letter to Pearson Vue. You will need to indicate your current name, address, contact number, license number, and social security number. You can also contact them by calling their help line and speaking with a representative at 1-888-204-6213. If you wish to get a copy of your certificate with your new name on it, you will need to send in the request form to Pearson Vue. You will also need to include $15 paycheck for each processing your request. You will then send the forms to Peason Vue at PO Box 822749 Philadelphia, PA 19182-2749. Certified nurse aides who come from another state and wish to transfer their license can do so by applying for reciprocity. This process also applies for those who were previously certified but did not renew their license. To qualify one would have to re-test. Testing will include taking both the written and physical demonstration test. Those who pass in one attempt for both parts will be added to the Mississippi Nurse Aide Registry. Applicants only receive one try to pass or must retake a training course. In addition to these requirements one must pay the reciprocity fee or $26.00 and the testing fee of $101.00. You can contact an associate of the Mississippi State Department of Health at 601-364-1100 to learn more about the latest qualifications. The city of Gulfport is the co-county seat of Harrison County. It is the largest city in Mississippi, second only to the state capital which is Jackson. This city was founded back in 1898 by William Hardy and Joseph Jones. Since its beginnings, the total population of the city has now grown to 69,220 people with a population density of 1,191/square mile. This city has a total area of 64.2 square miles, where 7.3 square miles of it is water. You can find the certified nurse aide schools that are providing classes in Goodman, Mississippi on the list below. If you have any questions, you are welcome to call them during working hours using the number provided. These course have met the standards set by the state and are registry approved. The NNAAP is an examination that is used to determine the competency of an in individual to become a nursing assistant. All those who want to get a career as a nursing assistant are required to take the exams. By passing the exams, they will get their name on the Registry and receive their certificate. The NNAAP examinations are only available to those who were able to receive proper education and training. If you have not yet received any of those, you should immediately look for a state-approved CNA training program. The programs in this state last only 6 weeks and have a required number of 130 training hours. Those who took up graduated from nursing are also able to apply for the exams, as well as registered nurses from other countries. When they complete their training, they will need to ask for an application form from their training program. They can also download a copy from www.pearsonvue.com or call the NACES and request for one. Along with the application form, they will need to also send in proof of their training and a money order for the exam fees. If you have any problems or questions with the application, you can call the NACES Customer Service Representative at (800) 579-3321. The license exams for this state are conducted by Pearson Vue. The exams are composed of two parts; a written and a skills evaluation. One can also request to have the written exams with an oral one if they applicant prefers to have it. In order to get a certificate, the applicant must be able to pass all the tests. Those who receive certification and get their name on the registry will still need to maintain their status there. This is usually done once every two years by submitting verification of work from your employer. To get additional information about this process you can call the Mississippi State Department of Health at 601-364-1100.